In the Weird West, a deck of cards can be a lethal weapon. For hucksters, poker isn't just a game – it's a path to supernatural power. The huckster tries to master a manitou, an evil spirit from Indian mythology – but the consequences of failure can be deadly. For everyone. 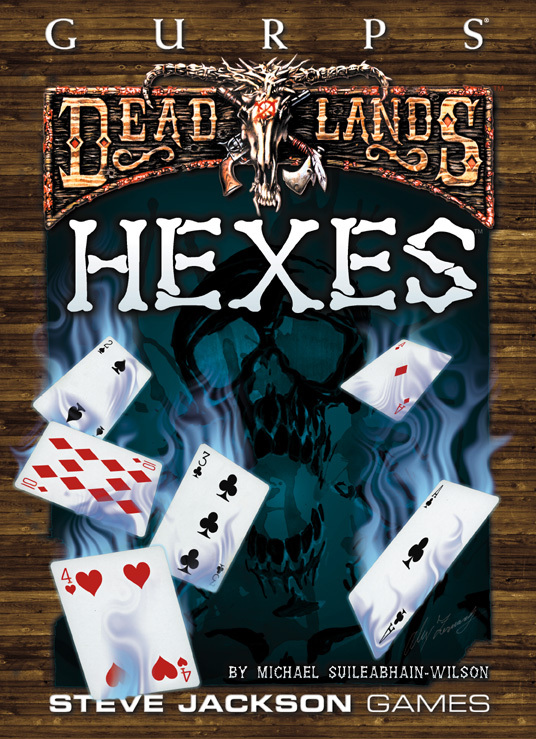 GURPS Deadlands: Hexes is a collection of spells for your GURPS Deadlands game. Some of these have previously appeared in Pinnacle/Great White Games' Deadlands books, but some are brand new, with stats for both the original Deadlands and GURPS Deadlands. There are also new huckster templates and a full discussion of just what it means to be a hexslinger.